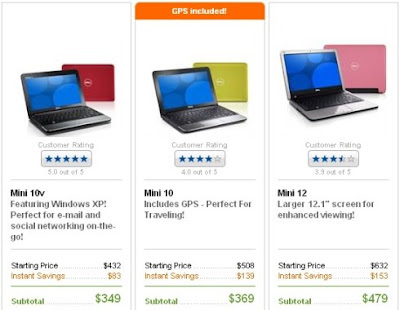 Dell netbooks will release the Inspiron Mini 10 with GPS capability. According to reports, Dell will begin offering the netbook with an integrated GPS receiver that also uses WiFi locationing. (1) Place a comment on the contest page (www.itsabluworld.com/contests), sharing within your comment which experience you want to win and why. (2) Use Twitter to tweet why BluFrog is better in 140 characters or less. You must include #bluworld and http://bit.ly/UiiJy in your tweet to be registered for the contest. (3) Write a blog post about our contest and which experience or prize you would choose if you won. Now, isn't that amazing? Join the craze! There is nothing to lose! Lenovo IdeaPad S12 -- buy now! If you visit the Lenovo site, you'd see that Lenovo is now accepting orders for the Lenovo IdeaPad S12 netbook. The netbook has a 12.1 inch screen, 1280 x 800 pixel display. Features of the Lenovo IdeaPad S12 is the same as the other netbooks but with w bigger screen dimension. The price is $499. Visit Lenovo here. Amazon is discounting the price of the 10.1-inch black netbook, Samsung N120. The netbook has received good reviews and if you are always mobile, the Samsung N120 may be the netbook that could fit your lifestyle. Acer Aspire One 751 in Walmart? Acer Aspire One 751 is ready for your pre-orders. The netbook is offered at Amazon Store for $449.99. This model has a 6-cell, 520mAh battery. I haven't seen this model in the WalMart store that I have been to. Please check the Walmart store closest to you, you might find the Acer Aspire One 751 sold much cheaper. This mini-laptop has an 11.6 inch, 1366 x 768 pixel display and 1.33GHz Intel Atom Z520 CPU. it ships with 2GB of RAM and a 250GB hard drive and Windows Vista Home Edition. Buy Acer Aspire One AO751h-1080 11.6-Inch Blue Netbook - 3 Cell Battery for $399.99. 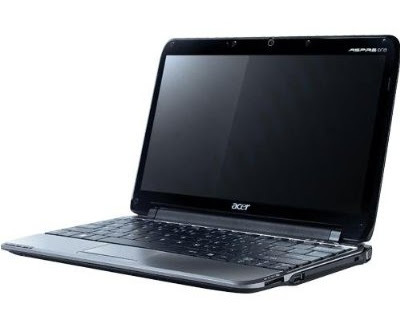 Buy Acer Aspire One AO751h-1522 11.6-Inch Blue Netbook - 6 Cell Battery for $449.99. 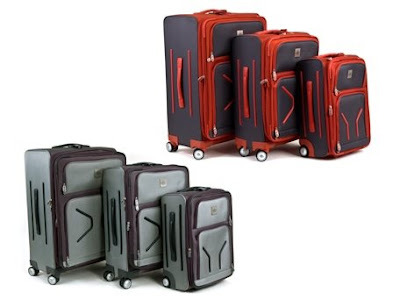 Travel deals of the day: Sharper Image Airborne 3-Piece Luggage Set! Most of the travel luggage sets are expensive. It can cost you more than a hundred dollars for just one piece. But here is the deal for the day -- you get 3 pieces for a hundred bucks! What about that? Buy the set on Woot. Samsung N110 netbook can last a whole day of computing. With its 9.5 hours of battery life, who does not want this 2.8-lb netbook? 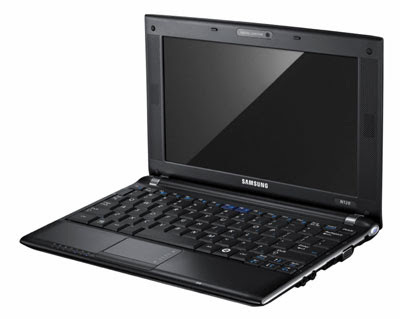 Amazon Store is offering the Samsung N110, 10.1-inch Black Netbook for just $429.00. This is our netbook deal of the day: the Samsung NC20! Normally, this 12.1"-screen netbook retails for about $550, but buy.com has the best deal on the black Samsung NC20 (NC20-21GBK), model no. NP-NC20-KA02US for just $518, with free shipping. Personal computing just got a whole lot smaller with the slender HP Mini 1150NR netbook, which includes built-in AT&T 3G wireless capabilities. Measuring just 1 inch thin and weighing just 2.45 pounds, the HP Mini is perfect for your always-on and always on-the-go lifestyle, providing a convenient alternative to your primary notebook PC as well as quick, easy access to online resources and digital entertainment--all at an exceptional value. The Mini 1150NR has 10.1-inch LED-backlit display for an expansive viewing area compared to other mobile devices as well as a comfortable, near-full-size keyboard (92 percent). An 80 GB hard disk drive (HDD) provides a wealth of on-the-go storage, and it's powered by the 1.6 GHz Intel Atom N270 processor, which is designed especially for mobile devices and features an innovative hafnium-infused circuitry that reduces electrical current leakage in transistors to conserve energy. The integrated 54g Wi-Fi networking (802.11b/g) will keep you connected to email and all your social networks, while the built-in HP Mini Webcam keeps you close to friends and relatives. Other features include 1 GB of RAM (maximum capacity), built-in speakers and microphone, SD/MMC memory card reader, 3-cell battery, and stylish HP Imprint finish. It comes preinstalled with the Microsoft Windows XP Home operating system, which offers more experienced users an enhanced and innovative experience that incorporates Windows Live features like Windows Live Messenger for instant messaging and Windows Live Mail for consolidated email accounts on your desktop. 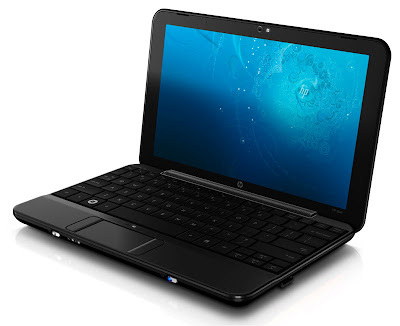 This netbook features integrated high-speed 3G cellular connectivity via AT&T's mobile broadband data network, which is available in most major metropolitan areas. The AT&T 3G network uses the dual-band 850/1900 MHz 3G network (UMTS/HSDPA), which provides download speeds ranging from 700 Kbps to 1.7 Mbps, and upload speeds ranging from 500 Kbps to 1.2 Mbps. * DataConnect 5 GB: Good for heavy to moderate data usage, this plan includes 5 GB of domestic wireless data usage. Additional per KB charges apply for data usage over 5 GB. This plan is not unlimited, and not recommended as a replacement for your DSL or cable service. * DataConnect 200 MB: Recommended for the light data user who occasionally checks email and accesses the Internet 3â€"4 times a week, this plan includes 200 MB of domestic wireless data usage. Additional wireless data usage over 200 MB is automatically charged at $10 for 100 MB; unused MBs do not carry over. OMG. This is the best deal from Garmin nuvi ever! Amazon.com is offering the Garmin nuvi 780 for just $199. The original price for this 4.3-inch GPS navigator is $700! Yes, this is the most advance yet cheapest GPS you'd ever get. 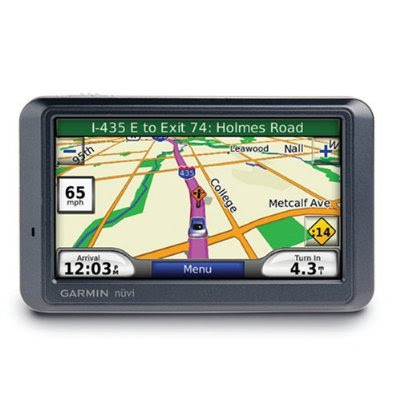 * 1.8 Lbs (WxLxH) 0.8" x 4.8" x 2.8"
Buy it from Amazon store: Garmin nüvi 780 4.3-Inch Widescreen Bluetooth Portable GPS Navigator with MSN Direct Service. Cobalt updates its pocket watches! Although pocket watches are not as popular as trendy wristwatches, you might still check out the high-tech Cobalt pocket watches. Not only does the screen display the time, date, but the temperature as well. 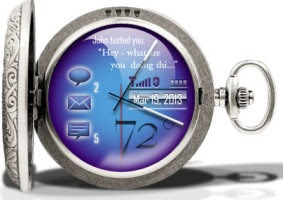 The Cobalt can even give updates from text messages, email, and will even play your voicemail. The Cobalt is also completely Bluetooth Compatible, and has voice recognition software. There is even a shot that I have seen that demonstrates music-playing capability.